There are some hotels in the world that are blessed with privileged locations: the Sheraton in the heart of Iguazu Falls, Argentina; the Fairmont, on the base of Canada’s stunning Lake Louise, and the Ritz at the centre of Place Vendome in Paris, for example. But one hotel whose location really stands out is the Belmond Sanctuary Lodge. Located at the base of one of the Wonders of the World in Peru, this is the only hotel set right beside Machu Picchu. 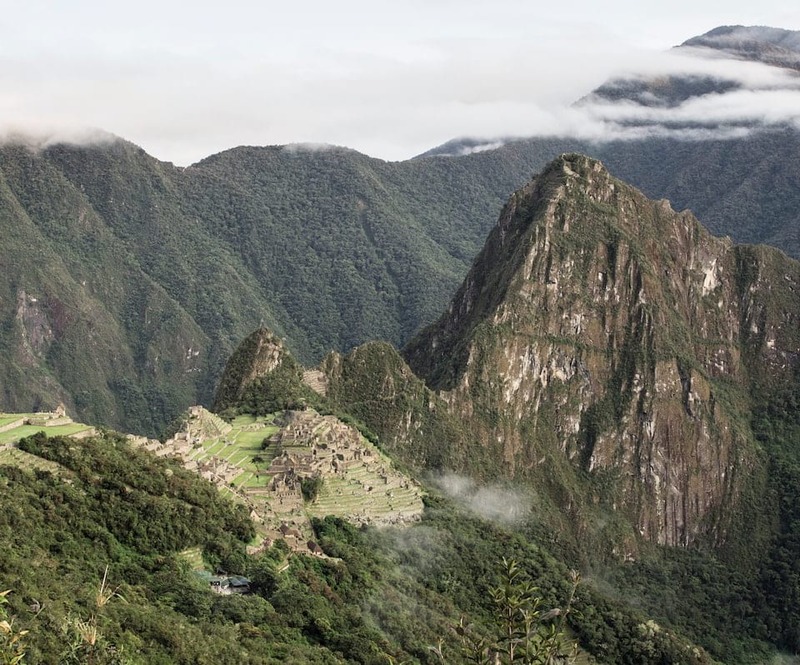 Whilst throngs of tourists make their way to the stunning mountain via bus every day, guests at the Belmond are able to drop their luggage off in their room and simply walk up to behold the splendors of the ancient Inka ruins. The lodge itself is comprised of cozy rooms with incredibly comfortable beds, surrounded by landscaped ponds; some rooms have direct views of the Huayna Picchu Mountain. For those who found climbing Machu Picchu a bit demanding, aromatherapy massages are available at the spa. 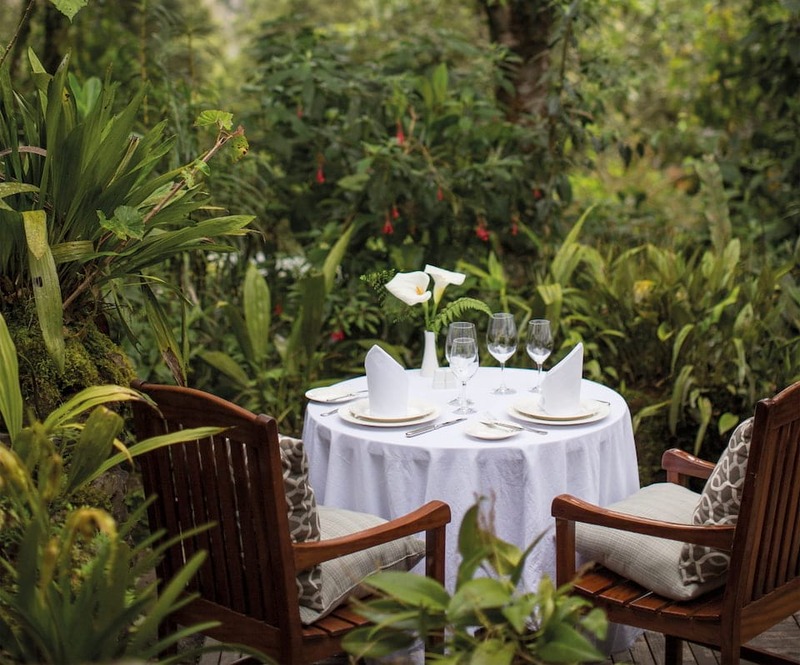 Guests can dine á la carte at Tampu Restaurant, with large sliding windows and panoramic views of the lush jungle. 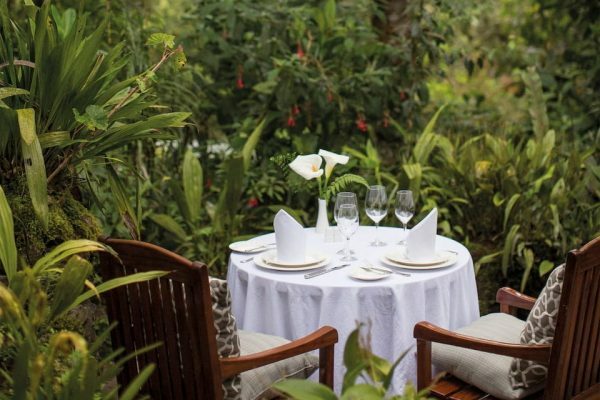 Alternatively, the Tinkuy Restaurant offers Andean flavours and has rustic stone interiors and a fireplace. 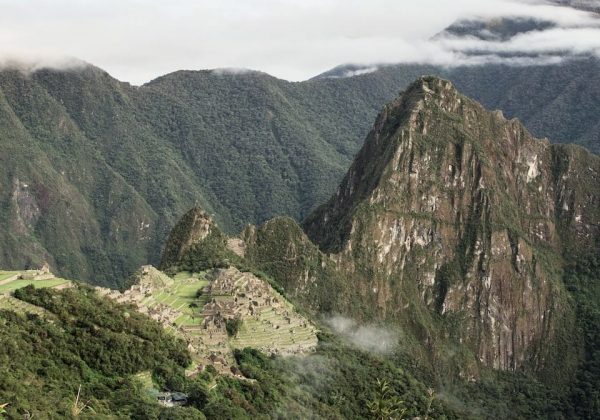 One core highlight of our stay included the fact that the concierge saved the day – we thought we had booked our tickets to Machu in advance, but apparently the card details didn’t go through properly and our reservation was not confirmed. We would have ended up having gone all the way to the site, without any means of entering it – had it not been for the Belmond’s help. Eventually, the whole fiasco was sorted and we enjoyed an afternoon marvelling at not only the ancient ruins, but the jaw-dropping beauty of the verdant nature surrounding them. After spending the day atop the mountain, we retired to the hotel for a lesson on how to make the perfect Pisco Sour, and a history of the drink, given my the Belmond’s charismatic bartender, Victor. The class, of course, involved tasting the grape-based alcohol, and by the time dinner rolled around, we were feeling pretty good. Luckily for me, there was a vegetarian menu that offered asparagus and mushroom ceviche, veggie curry, and mushrooms and potatoes in a Peruvian chili and cheese sauce, so I could refuel with healthy food after a very busy day. It was only a short stay here – 24 hours, to be exact – but our time spent at Machu Picchu was memorable thanks to the Belmond. For the price, it may not be the poshest place, but luxury has many definitions for different people. 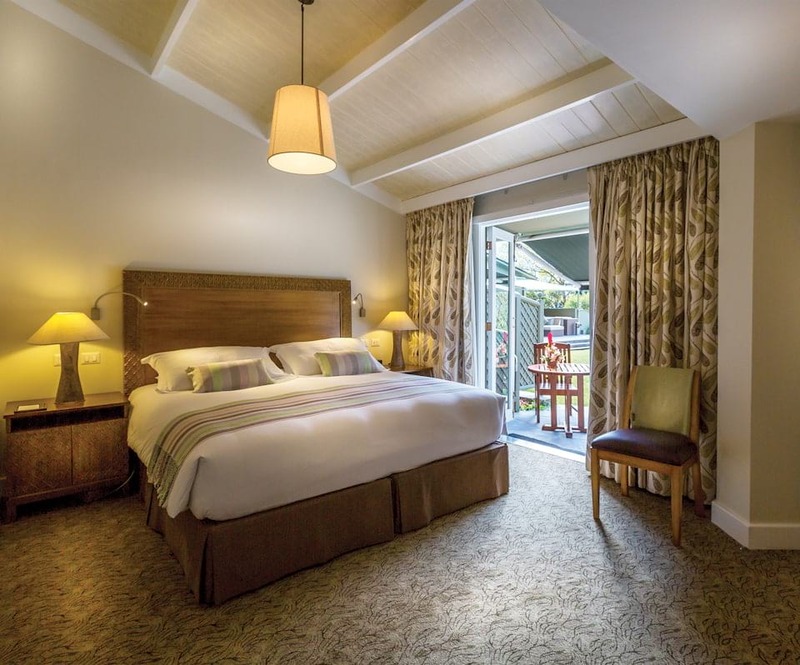 There’s no doubt that if convenience, locating and saving time are priorities for you, the Belmond Sanctuary lodge is about as luxurious as it gets.